Before our modern age of rage over Twitter, our early forefathers often used their sharpened tongues to savage their political enemies via anonymously written publications. Using such terms as “dithering dotards”, “intriguing and caballing”, and “vulgar herd”, one can appreciate the rhetorical flourish that the nation’s early thinkers attempted to unload as part of their discourse arguing for or against an issue. John and John Quincy Adams were the first father-son duo to serve as President and also were the first two to serve only a single term. 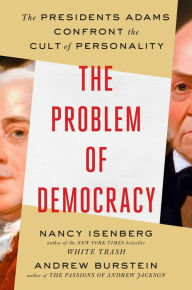 Nancy Isenberg’s The Problem Of Democracy charts their life story, their interactions together, and the closeness of a father-son relationship that grew in strength and trust over time. Both John and John Quincy were fiercely independent in an era that became increasingly partisan and tribal, even during a time when the country did not have fully functioning parties. They were also not ones to grandstand or actively sell themselves to the nation, which played as large a role in their failure to be re-elected as their fierce independence did. Isenberg's book is timely given our era’s fierce partisanship and tribalism. She shows how both of these men were loyal to country before party and how, despite their inability to serve two terms, both were celebrated for their contributions to this country. At the same time, she shows their increasing contempt for parties and for a democracy that centered around a cult of personality as opposed to one’s ability to competently do the job. In our hot-take world, this book is a refreshing challenge to us of what we want our democracy to ultimately be. 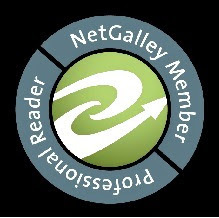 The book’s crescendo in the final forty pages strengthens and provides passion to a well-researched work.